Google Chrome has a built-in Autofill functionality that automatically saves the form details or information you enter online on any website like address or credit card information. For example, if you open any website that requires your personal details such as your name, postal address etc. Google Chrome automatically saves your information which becomes pretty handy when it comes to filling the same kinds of fields on the other websites. 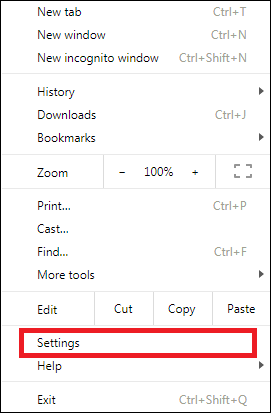 You can easily change chrome autofill details to follow simple steps. Although Google Chrome saves the generic and publicly distributable information, sometimes you may also manually save your credit card details so that you do not have to type the whole details again and again every time you make payments. However, this kind of practice might be suitable when you are using the computer at your home, and you are sure that no one else will be accessing your computer or laptop in your absence or even in your presence. This practice is certainly never advisable when the computer is used by many people at home, and especially at your workplace. If, however, you have accidentally or unknowingly saved your credit card information on the Google Chrome, you can simply erase that kind of data from the web browser with just a few mouse clicks. You can make use of the steps to delete autofill google chrome your Credit Card information. Now, click on the 3-dot menu icon, located at the top right corner and then click on Settings from the drop-down menu. 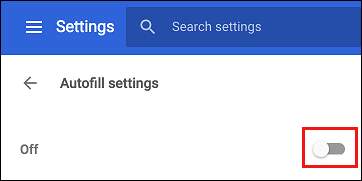 On the Settings screen, scroll down to the bottom of the page and click on Advanced. Next, scroll down to the Passwords and forms section and click on Autofill settings. Disable the option for Autofill settings by moving the toggle to the OFF position. So, using the above method you can change chrome autofill details and secure your credit card information. Don’t need to worry about unauthorized people exploiting it.